A true piece of Greece with a relaxing, romantic atmosphere, a few beaches, good food and peace. Folegandros is a small island (32 km2, 650 registered inhabitants). 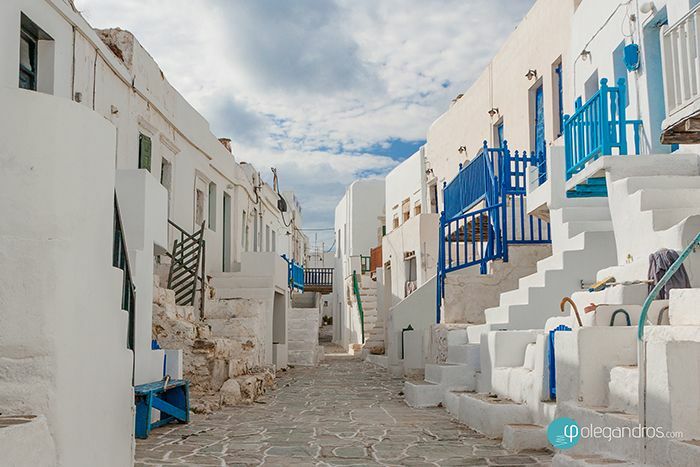 It has become fashionable but has maintained the untouched feeling of true Greece, a Cycladic piece of quiet land. On account of the simple and relaxing atmosphere that reigns all around the island, also thanks to the population hospitaliy it is and island to love and to fall in love with. 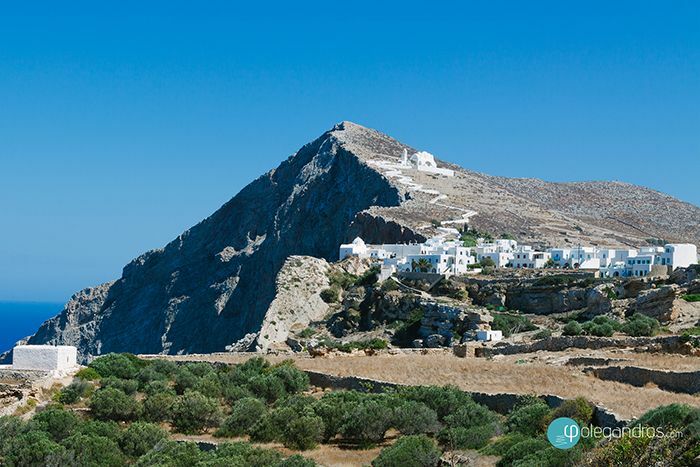 Folegandros has three small villages, Karavostasi (the port), the Chora, Ano Meria and we like to mention also Agali. A paved single road running side them connects the villages. What immediately catches the eye is the endless series of "dry-placed" walls that have been erected over the centuries by the inhabitants to create terraces on the sunny slopes of the territory to be able to raise cereals. 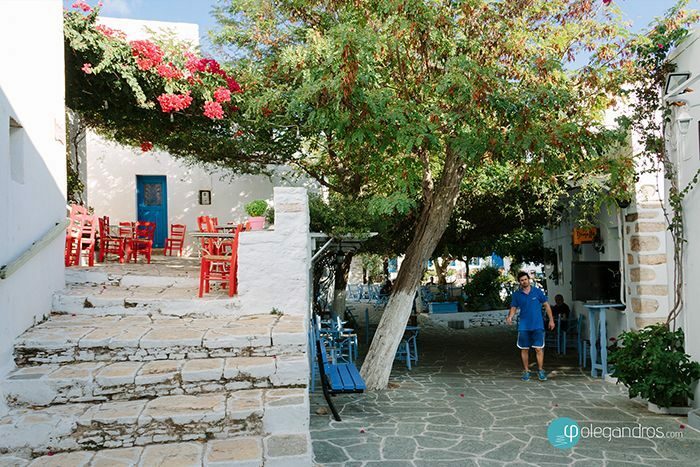 Folegandros Chora, closed to car and motorcycle traffic, has a unique "center" of three squares in a row, with trees under which to enjoy a drink or food in a quiet, romantic atmosphere. In the gentle breeze, passing through the small streets you may feel the perfume of lime trees or of the local (exceptional) bread smell. Bougainvillea and hibiscus color the small wooden balconies around the Kastro (XIII century). The area of the Kastro, a small fortress made by the Venetians in 1210 (Policandro), and the small village itself within the Chora, will take you back to the Middle Ages. The village of Ano Merià spreads over cultivated fields and "dry-placed" walls. It has typical "kafeneio" and taverns with genuine food. Here, there is also the Folkloristic Museum, open from 10:00 to 18:00. At Folegandros a visit should be paid to the Orthodox church of Panagia. The church is situated on the top of a hill, offering a nice walk and a magnificent view of the Chora and of the west coast. From there the sunset view is something you don't want to miss. This is the port of the island of Folegandros. Karavostasi also has some shops and restaurants and a beautiful, certainly unpolluted beach. Today it hosts some of the best and brand new hotels.